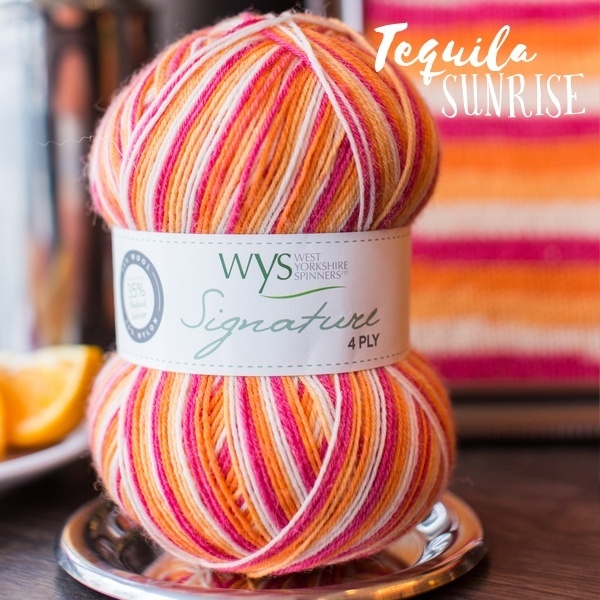 West Yorkshire Spinners Signature 4ply Cocktail Range TEQUILA SUNRISE. West Yorkshire Spinners Signature 4ply Sock Range.<br> The new Cocktail Range is a stunning assortment of self striping yarns inspired by classic cocktail colours. Cast on a Cocktail today!<br> Available in 7 different shades. 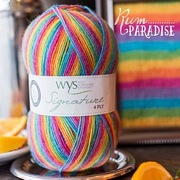 --- Please Choose --- West Yorkshire Spinners Signature 4ply Cocktail Range SHERBERT West Yorkshire Spinners Signature 4ply Cocktail Range MOJITO West Yorkshire Spinners Signature 4ply Cocktail Range PASSION FRUIT West Yorkshire Spinners Signature 4ply Cocktail Range BLUE LAGOON West Yorkshire Spinners Signature 4ply Cocktail Range RUM PARADISE West Yorkshire Spinners Signature 4ply Cocktail Range PINK FLAMINGO West Yorkshire Spinners Signature 4ply Cocktail Range TEQUILA SUNRISE. West Yorkshire Spinners Signature 4ply Sock Range. 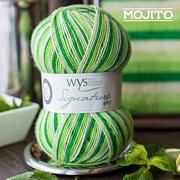 The new Cocktail Range is a stunning assortment of self striping yarns inspired by classic cocktail colours. Cast on a Cocktail today!